Perfectly sized as party favors. Kids can pull it, stretch it, and mold it! 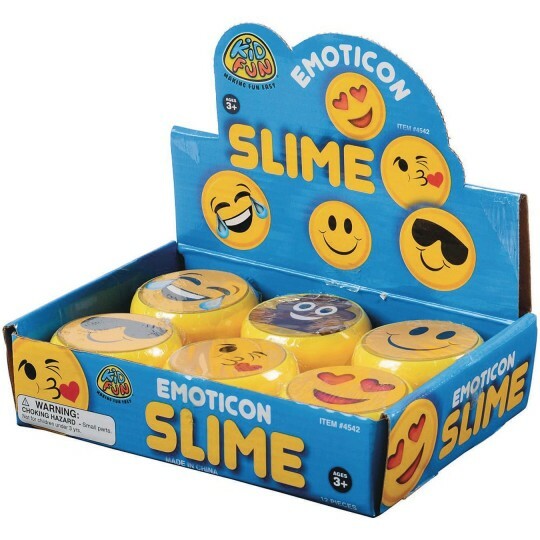 Leave the phone at home and express your mood with your very own emoji-themed slime. 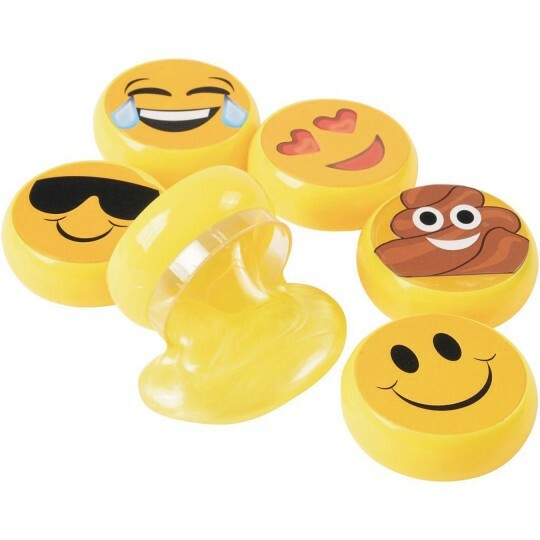 Perfectly sized as party favors, this yellow slime comes in 6 assorted containers featuring everyone's favorite emoticons. Pull it, stretch it, and mold it! The slime is sure to keep your young party guests entertained for hours! Each measures 2” in diameter. 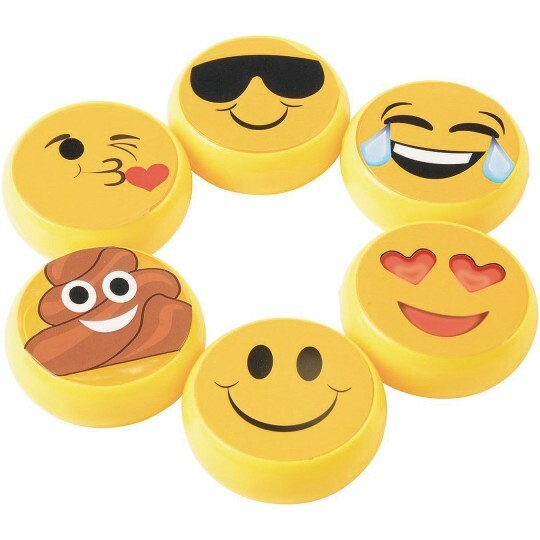 6 assorted emoji designs on containers. Yellow putty inside all. Recommended for ages 3+.